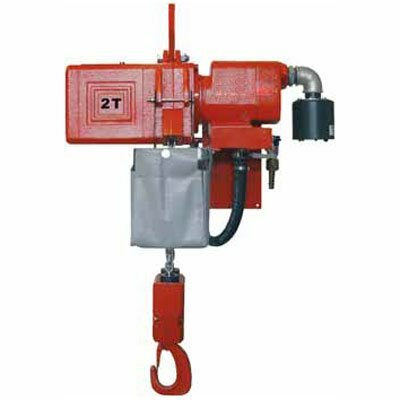 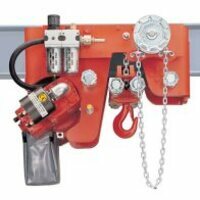 Would you like more information about Pneumatic Hoist? The pneumatic hoist can work in several and different environments: form dust, to acid or high temperature places. 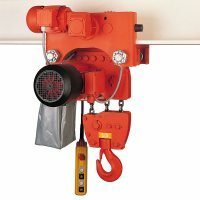 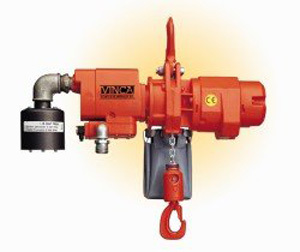 The lifting speed is controlled by the amount of air supplied to the hoist. 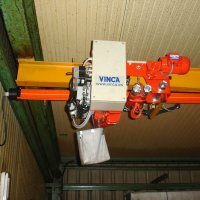 We can supply several models: from the standard hook suspended hoist to the models with special low headroom trolleys, even wirerope winches. 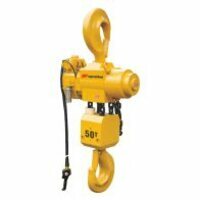 The loads can be choosed from 250 kgs to 25 Tm.